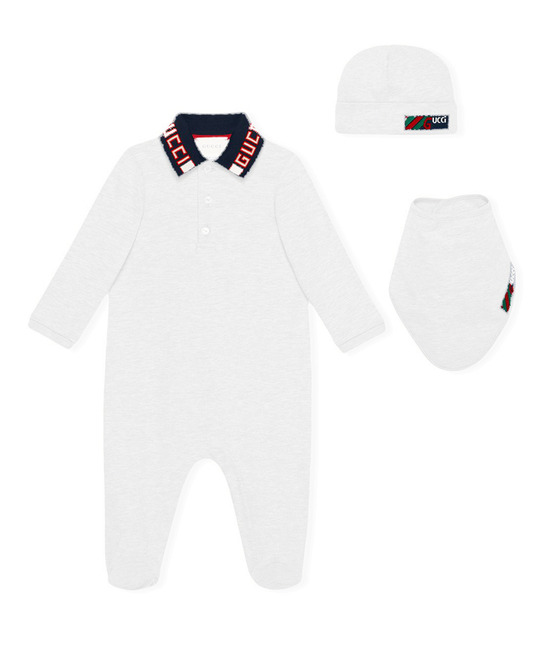 Gucci soft cotton white 3 piece gift set with matching onesie, bib and hat. Sold in a Gucci gift box. 94% cotton, 4% Elastane. Made in Italy.